Well, it has been a stressful few months with lots of problems but so many happy endings which make it all worthwhile. All the cats and kittens that I have homed have come up trumps with the very best homes-I am very happy! The church grounds kittens were homed in pairs and the lovely young mummycat is now chasing toys and playing ‘fetch’ much to the delight of her new family, when she drops the toy at their feet to be thrown and retrieved again-she’s having the kittenhood she never had and running them ragged! The recent trip to Spain was chock-a-block full of problems-everywhere I turned there was another. I was very perturbed to find that one colony where I had sterilised every cat, about twenty altogether, leaving it stable and healthy a few years ago, had new arrivals. 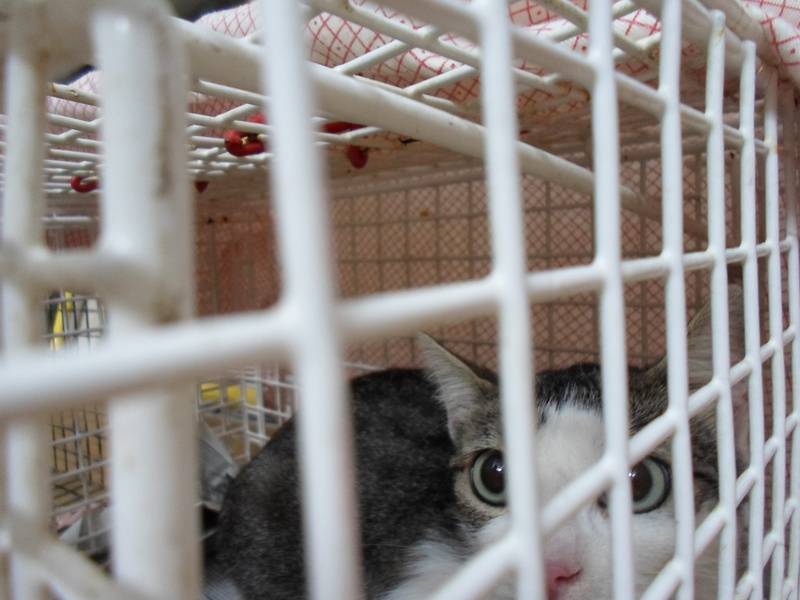 The man and his son who feed the cats and who we have got to know over the years, were exasperated as they had tried to avert a disaster and get help with neutering, to no avail-nobody answered their call. A mother cat had arrived then given birth plus two other females-it was all a bit confusing but there seemed to be 3 generations including tiny kittens scuttling about with no mother as she had been killed by a car. It is an off the road area but because of this, cars visiting the boatyard drive too fast and take them by surprise and many have been killed that way-it is very sad as it is a quiet place otherwise and they are fed by the two men there as well as fishermen. Over the years, numbers had gone down and they were down to just three recently-that is now up to about 10-15 again including kittens. They don’t mind feeding a couple but cannot cope with that number. I am trying to resolve it but it is difficult when I am here-I only found out just before I returned to the UK-too late to do anything. There were many similar stories. 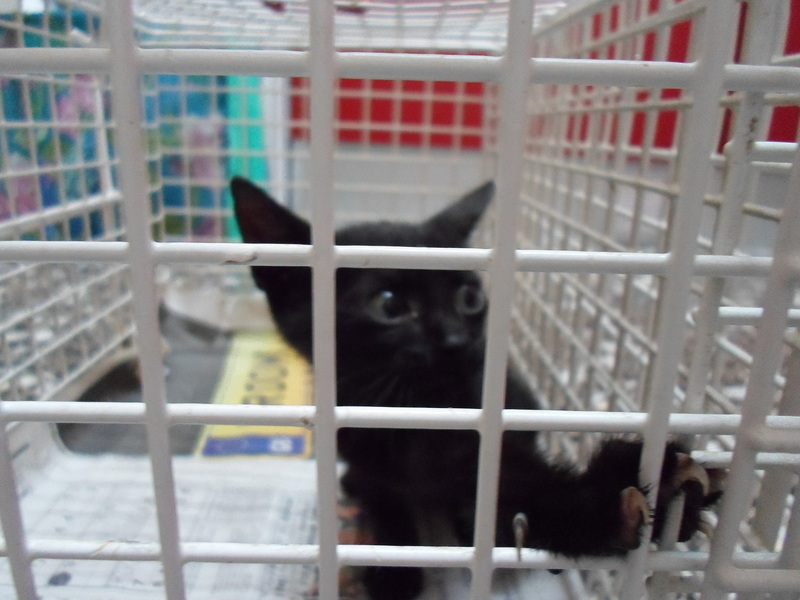 There seemed to be a real upturn in the number of friendly cats and kittens being dumped-they had obviously been living in homes only to be turned out into some quite dangerous areas. I did feel very frustrated and downhearted but I will focus on all the good things that happened-there were quite a few. 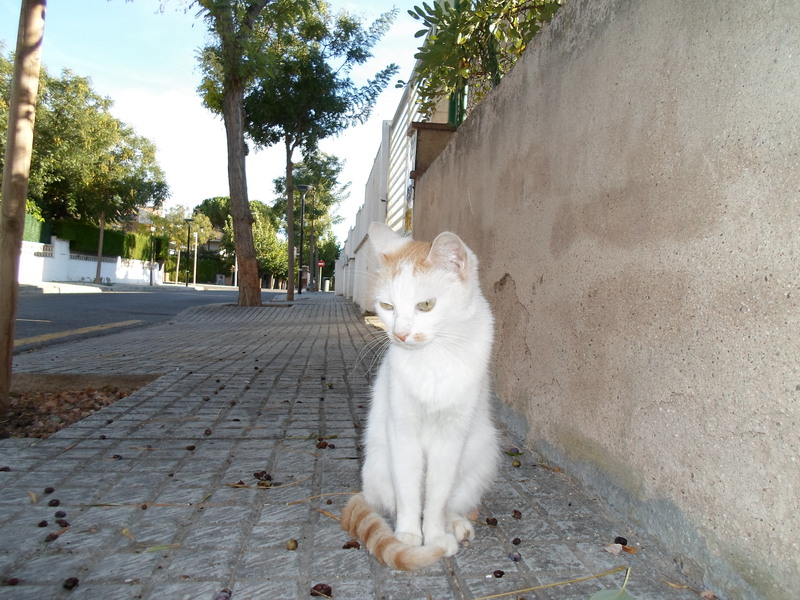 On my very first day, when checking an area where I have sterilised many cats, I looked over a wall and saw a tiny calico kitten curled up on a slab. I thought she was dead but when I reached through the wire and touched her, she jumped up and was thrilled and purring so loudly but I immediately saw that her eyes were badly ulcerated and she could hardly see. 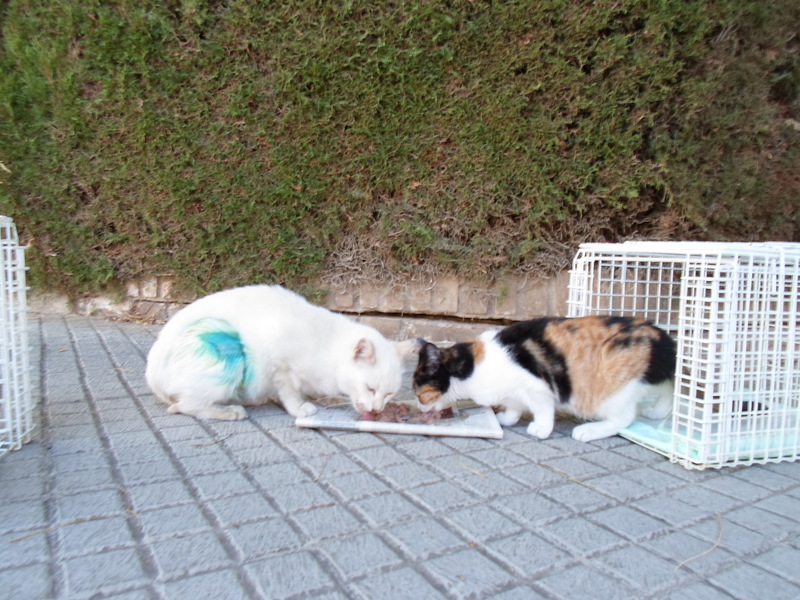 It is a place where the cats are fed and someone had just left her there to take her chances. She was about 6 weeks old. I scooped her up immediately and she was delighted! There was another new friendly one there too, no older than a year and so snowy white that she couldn’t have been there long either. She was so keen for attention, she would chase me along the road meowing every day after that. I took the baby to the vets and had to give her a lot of different medications several times a day. She insisted on coming to bed and sleeping on or next to my head and although she couldn’t see, she worked out where everything was-she is the jolliest little kitten you could ever meet-she is amazing! She doesn’t let her lack of sight stop her-she plays like crazy-she didn’t at first but I got her chasing crinkly, noisy things and she soon got the hang of it and was belting around! 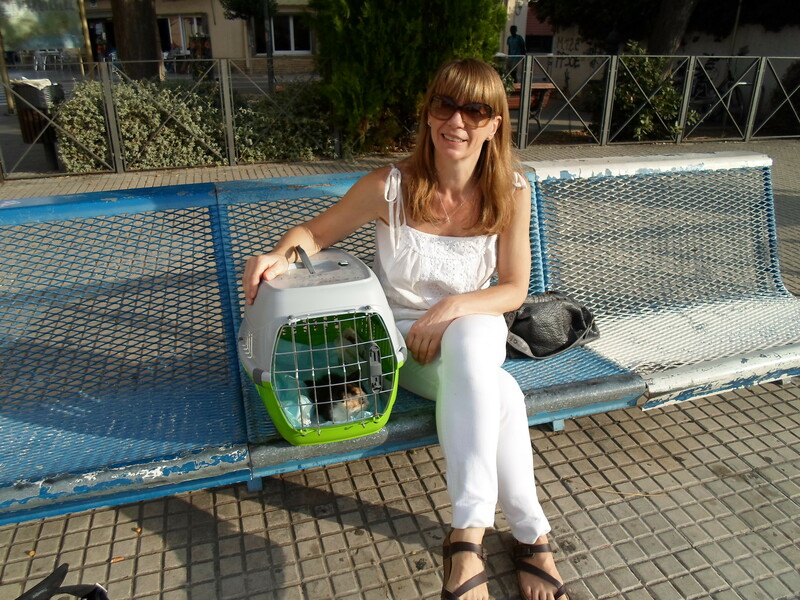 After over a week of looking after her, we took her to Barcelona on the train where she is now being fostered by my fantastic friends at Jardinet Del Gats-she slept for the whole journey after an initial five minutes of frantically trying to grab me through the bars of her carrier! 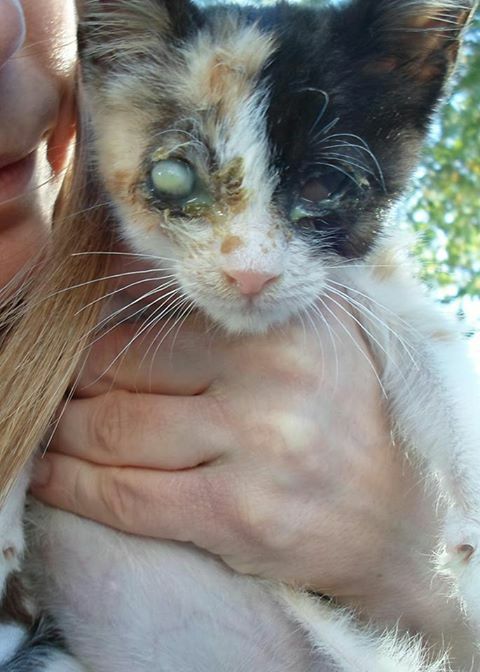 Her eyes are improving with treatment and it is hoped that we can save one eye and that she will see a little. Even in the week that I was treating her eyes, there was a big improvement. I have almost daily reports and photos and I am still trying to decide what is best for her-to come to the UK or to try to find a wonderful home in Spain-it’s a dilemma. thank you, as ever, to Alex and all at Jardinet-you are fantastic! I found homes for several cats on this trip for the first time ever. A few of the cats that I sterilised, I was not at all happy about putting back on the street as they were so friendly but more importantly, the area was not safe-there has been a lot of poisoning in the past as well as death from illness and on the road. 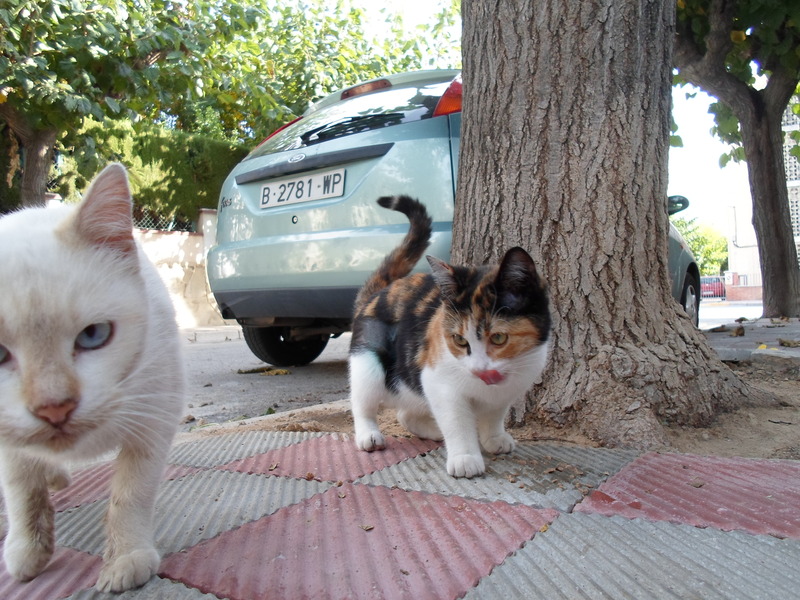 One of the kittens I had neutered was the sole survivor from her litter-all had been killed on the road and the lovely, friendly mother cat still crossed it a lot. 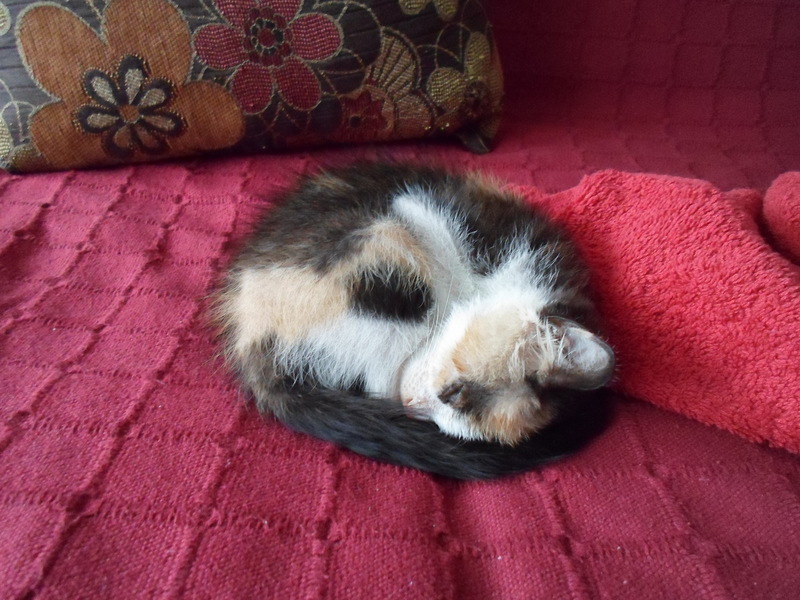 I was so happy when they were adopted by a couple with a house and large grounds away from the roads-so lucky! Released after neutering, complete with blue antiseptic! I also homed another tiny kitten who I saw disappearing into a hole in a wall-when I shone my torch in, it was hissing and terrified. He hadn’t been around the day before-it was where cats are fed by my friend Luigi so again someone just decided to dump it there. I had to set my trap and keep some distance away as it was so scared but fortunately so hungry that it went in really quickly. 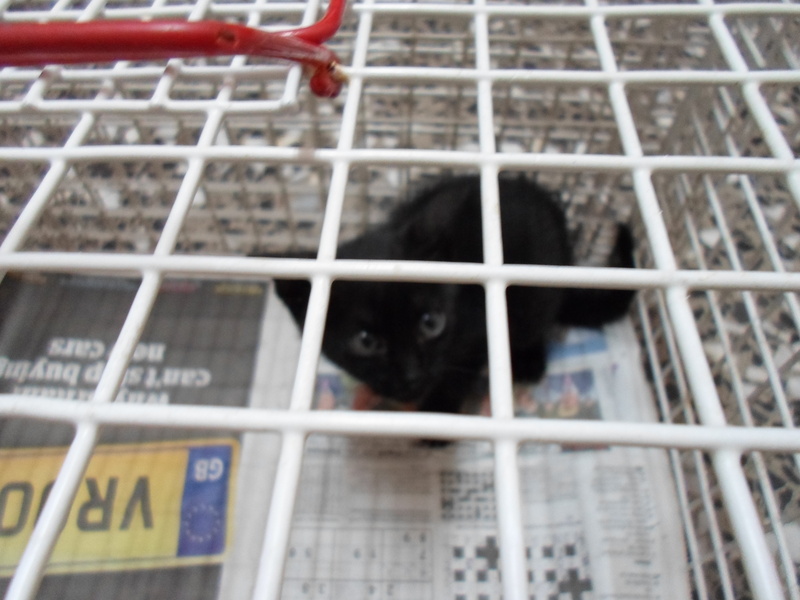 Luckily, a kind lady, Annie, who worked next door said she would give the kitten a home and wasn’t put off by the hissing so we rigged up a makeshift litter tray etc and it went off to it’s new life newly named as Halloween! It immediately took up residence behind the fridge and has not been brave enough to venture out when she is there but Annie tells me that it has an excellent appetite! Hopefully, it will become more brave-thank you Annie! 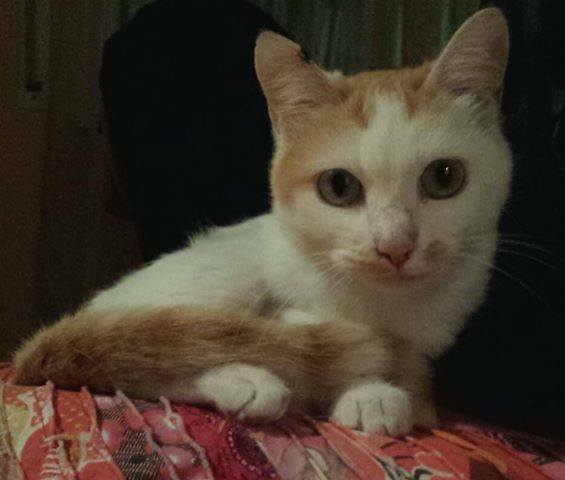 After I had the young friendly white and ginger cat sterilised, I had to take her to the apartment immediately after neutering when she was still under unconscious so she ended up spending another 24 hours there after which time I definitely did not want to put her back in the bad area. What a sweetheart! You have never seen such a grateful and well-behaved cat-she just sat on a little sheet and hardly moved except to roll over and purr when you stroked her. 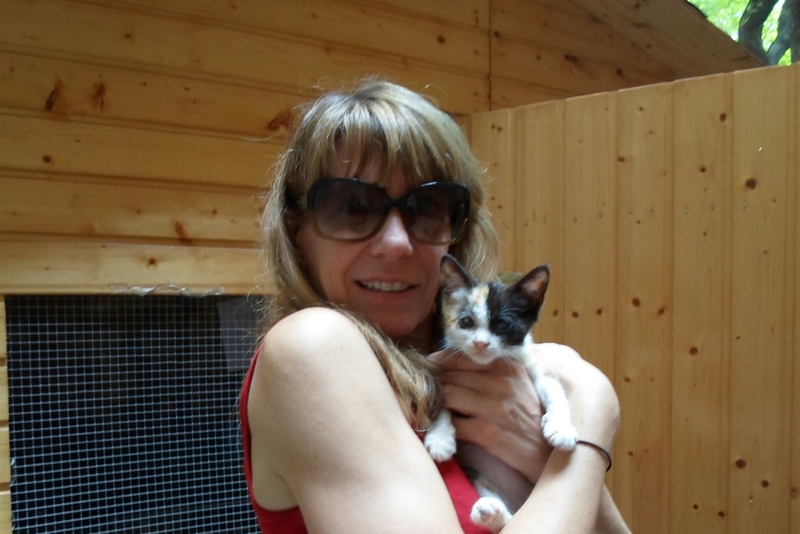 My friend Katri kindly offered to foster her for me and she found a lovely home-she will soon be going to live in Barcelona with another cat and her new mum and dad-wonderful! One cat who definitely did not want a home at all was one of the most feral cats ever-she was absolutely furious when she was trapped and ran like the wind when released. I never saw her again but I expect she saw me and hid! I had meetings with a few animal-minded people that I hadn’t met before and who want to help the situation but feel equally frustrated and met up with various cat/dog people who I already knew from previous times-I hope that we can all pull together to find some solutions. 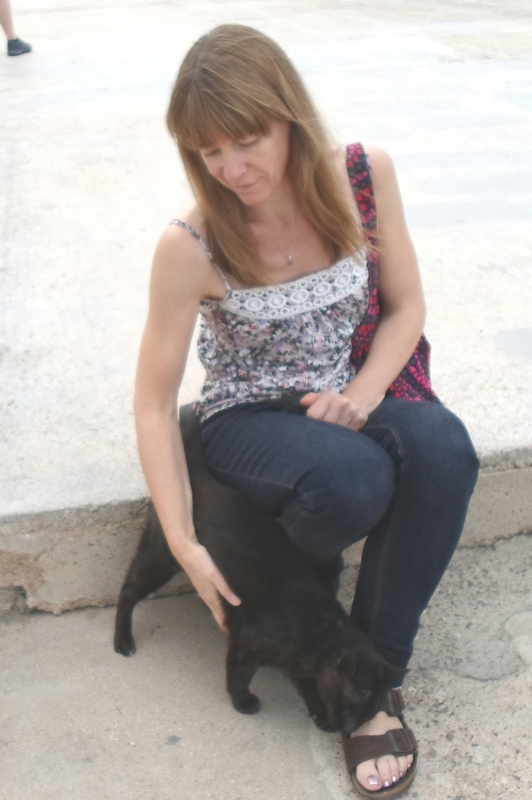 I saw my beloved Rodrigo at the port-the first time I met him several years ago, he was ill and I had to hand feed him and medicate him in the rocks. He is always a bit battered and scarred but so full of beans and I always wonder if I will see him again next time but he is always there. Every time I go, I give him an injection of antibiotics and anti-inflammatory and a clean up-he’s come to expect it and it keeps him going until next time-I just wish he would stop brawling-he was neutered over 10 years ago and is too long in the tooth for all of that-silly boy! Thank you to Fernando for driving me to the vets, the airport and and allsorts-it was such a help and made things less stressful than they would have been. 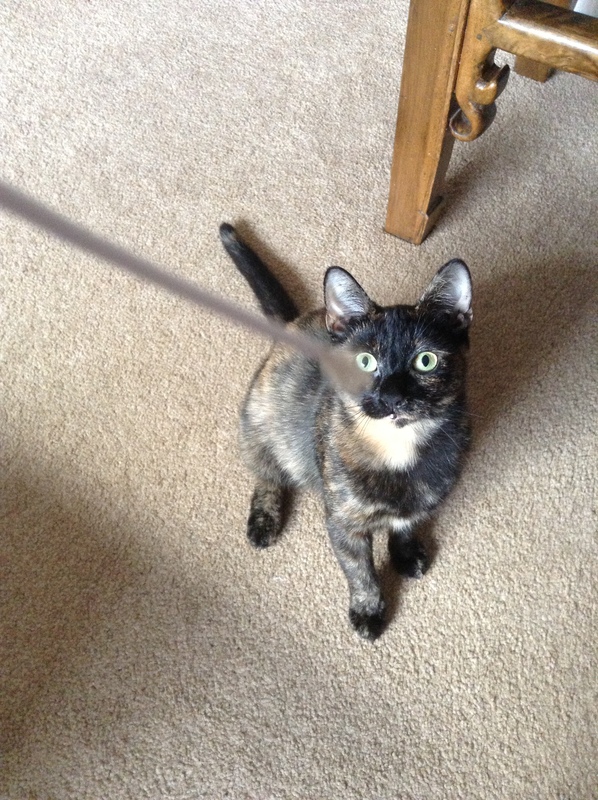 At the moment, I have just two people who make a monthly donation to Mama Cat by standing order. It would be really great to get some more in order to carry on the work. Please email me at mamacattrust@googlemail.com for details. There is also the Paypal button on this page for donations which are always so gratefully received-every penny goes towards helping animals like the ones above. Thank you! To stop receiving updates from Mama Cat, just drop me an email. 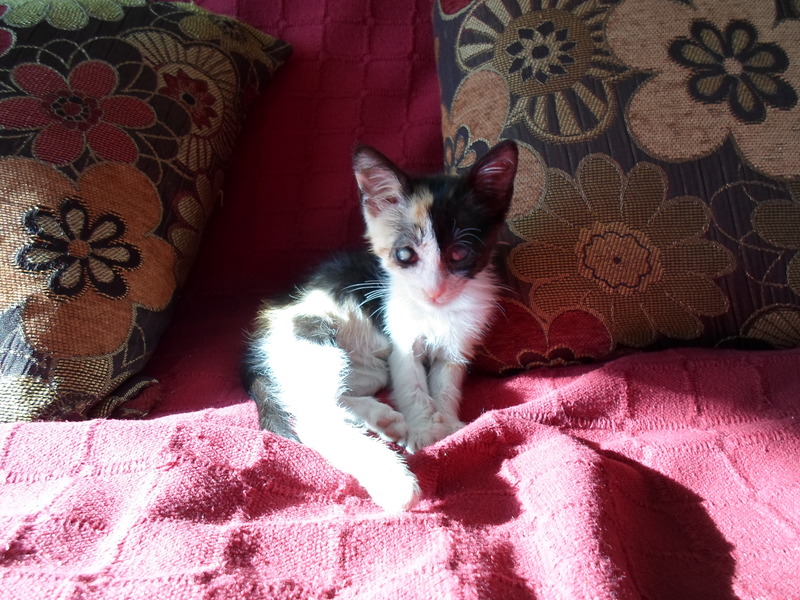 ← Stray mama cat and babies need lovely homes! you can contact her directly through streetlife.